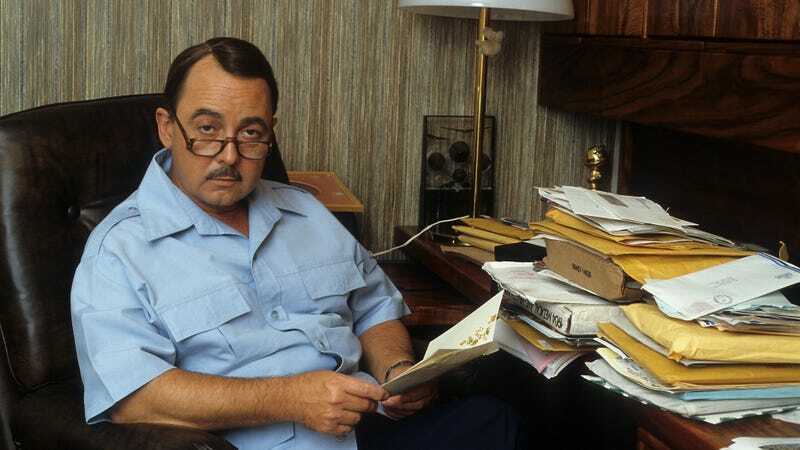 John Hillerman—the prolific actor best known for playing priggish Tom Sellick foil Jonathan Higgins on eight seasons of ’80s action hit Magnum P.I.—has died. According to The Hollywood Reporter, Hillerman—whose other credits include Blazing Saddles, dozens of one-shot TV roles, and a number of films under the direction of Peter Bogdanovich—was 84. Originally hailing from Texas, Hillerman caught the acting bug during a stint in the Air Force, performing with various community theater troupes as a respite from barracks life. After his discharge, he pursued a career in the theater, including a number of Broadway roles, before breaking into film in 1970. He quickly caught the eye of Bogdanovich, who placed him in small roles in The Last Picture Show, What’s Up Doc?, and Paper Moon, as well as Mel Brooks, who cast him in History Of The World, Part I, and as one of the numerous Johnsons of Rock Ridge in his classic Blazing Saddles. Hillerman retired from acting in 1999, after a career spanning more than 70 film and TV roles (and dozens more on the stage). His final role was in A Very Brady Sequel, in 1996.